Be aware of the little things in life. When you first became a mother, it was so easy to seemingly stop time. If you were anything like me, it felt like those first days at home with my new little one were more like 36 and not 24 hours. It was easy to enjoy little movements, watch for a first smile, respond to stories told with coos. As your child grew, so too did demands of your time. Food became more complex, activity became more abundant and along with it your time seemingly disappeared. Next thing you know, your child is headed to high school… whooosh! Wanting cuddles on the couch, the request for one more story, the need for one more bandaid… they disappear. 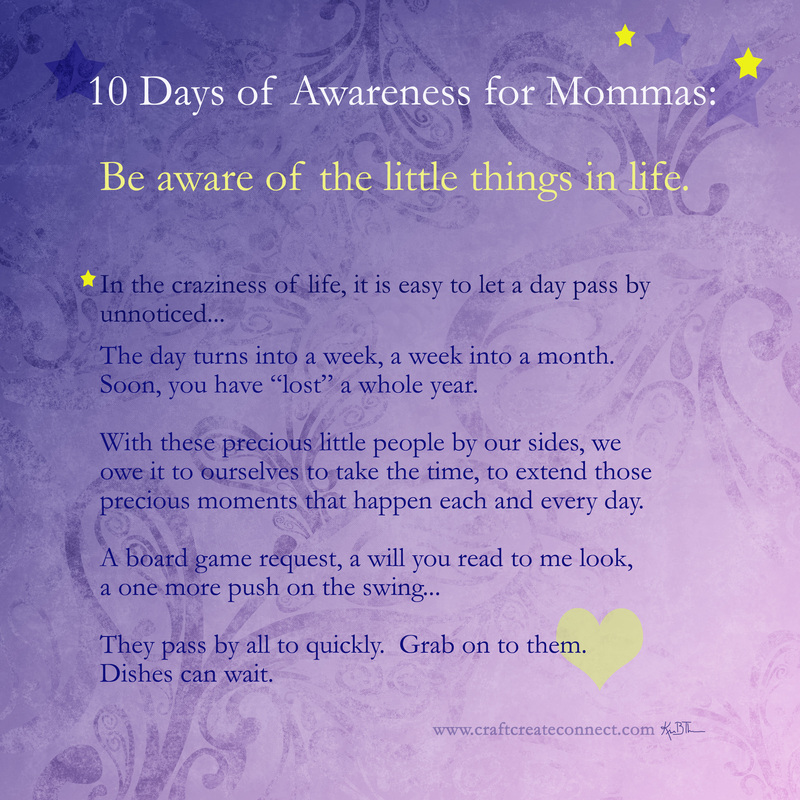 No matter what your child’s age, or what your childs strengths and needs might be, take time to enjoy the little things. Grab on to them. Dishes can wait.